Some random conversations and such my friends and I have been having... feel free to chime in. "We go to work, we go to church... we fake the perfect life." 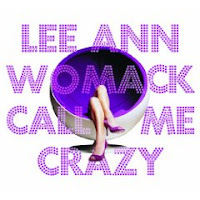 Lyrics to the perfect breakup song, Either Way by Lee Ann Womack. Do you read into/try to interpret the playlists your friends/partners put up on their MySpace? We're happy that our Y&R fave, Jess Walton who plays Jill Abbott, has apparently re-signed and will be staying with the show according to Daytime Confidential. This, after tough negotiations that apparently called for a paycut or be let go. If you were in a negotiation with your current job, would you take the paycut or choose to leave? How much of a cut would you be willing to take to keep your job -- 10%, 20%, or how much more? We're loving that radio host Steve Harvey has the #1 book in the U.S., Act Like A Lady, Think Like A Man. Please check out Tayari Jones' blog as she writes about how the media are not giving black women their props for making the book a success... some good insights. So the book is about romance, raising the standards, going for long-term than short-term, etc... Conversation question -- after how many dates or after what time frame do you have "the talk" with the person you've been seeing? Do you think we've lowered the standards? Who's ready for Long Beach Pride??? With headliner, Jazmine Sullivan??? Have you ever had a song that's on the tip of your tongue, but you didn't know the name or artist? Well, for me it was/is Oh What A Night by Frankie Valli and The Four Seasons. Don't ask. It's one of those "bar songs" I associate with my grad school days of the mid-90s, when a splurge was dollar and a penny pitcher night at the bar within walking distance of campus. Funny how a group of people with no money can make anything fun in grad school. So happy that song just came to me in a dream at 3 am, as all weekend I was trying to remember Oh What A Night, and it just wouldn't come. So last Saturday one of my friends suggested we do something different than our normal Saturday routine, which usually includes some type of dinner, drinking, dancing combination. We ended up going to this coffee shop in Long Beach, CA called HotJava, where we discovered some kind of show was going on. We had no clue, but said to ourselves, "Let's stay and see." Am I GLAD we did. It was a free standup comedy night called Laugh-A-Latte hosted by comedian actress Carlease. The show featured about 10 comics of all ethnicities, sexual orientations, genders, and abilities, which was something I loved. Also turns out all you have to do is buy a cup of coffee, or a pastry, or just drop in a tip for the coffee shop employees... all based on honor system. Every 3rd Saturday of the month 8 - 10 pm, get there by 7 pm to get a seat. Great way to spend a Saturday night! All that said, they saved the BEST for last. Betsy Salkind does a great comedy performance, but her finale -- a dead-on impression of a squirrel -- had me and the crowd rolling for the five minutes that part of her set took. In fact, I'm still rolling just thinking about it, and woke up this morning to share with you. Betsy Salkind The Squirrel Lady (about a minute into the sketch here). For Writers. For Eaters. Links. Wasted Food. A chronicle of how much food gets wasted and how to turn that excess into meals. I loved the "eat down your cabinets and fridge for a week" experiment entry. Spotted Dog Sundae. Sounds weird the name, but for writers looking for prompts to get started there's a whole list of prompts that may help unblock your writing process. Writer Unboxed. Great interviews, tips, and suggestions for writers. Johnny Diaz. Boston-based journalist and novelist. We're on the same book label and he's got some great novels out, including a third coming this summer. Meal Planning On A Budget and without wasting anything. 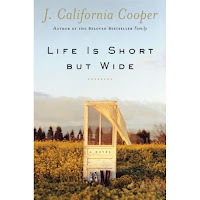 Don't forget to pick up J. California Cooper's Life Is Short But Wide today. In the meantime, I found out about a couple of local movie bargains that I will definitely be taking advantage of for low-cost evening out. Thanks to Buy Local Pasadena site, I've learned about low cost films in their column, Recessions Sure Are Good For Movies. I'm sure there are similar low-cost film options in your area. Free stuff to do that's entertaining? Share your suggestions with us. My personal favorite: going to book readings at local bookstores, even if I don't (or am not able to) purchase the book. It's like going to writer school for free. Notes on a Scandal by Zoe Heller is one of my favorite books and movies. Besides the story, the detailed (yet subtle) observations of character and biting/humorous dialogue make it a great novel. So imagine browsing through my daily blogs, and finding on my buddy The Last Noel's blog that not only does Zoe Heller have a new book out, The Believers, but that she was also in L.A. yesterday doing a book reading at Skylight Books, a great independent bookstore in town. I was beside myself for not keeping up with the event calendars of the local stores the past couple weeks. Anyway, The Believers will be added to my pile o' books to buy and/or read soon. (Thanks to Uncle Sam's and Uncle Arnold's tax return, I carefully selected a few books to splurge on -- carefully is the operative, as we're still in bad economy-ville, and bills and savings come first). It has gotten great reviews. In brief, it is a satire on family that holds very progressive political and social justice views, until those values are challenged during a family crisis. Of course there's more, and my description doesn't give complete justice. However, many of the reviews say the same thing -- humorous, dark, satirical, great dialogue, and bad characters you want to hate but feel for at the same time. Zoe Heller interview on NPR. J. California Cooper is one of my favorite writers and her novels and short story collections will always satisfy your need to read something good. Her newest novel, Life Is Short But Wide, will be released next week, March 24, and it sounds like another winner. It chronicles two families trying to eek out an existence in Wideland, Oklahoma in the early 1900s. Through the eyes of a community elder, Hattie Brown, you learn the story of the Strong family and their neighbors in this midwestern town just a mere generation post-slavery. My descriptions never give books justice they deserve. However, if any of you have an elderly relative who tells good stories at your family gatherings and keeps you enraptured, you will find J. California Cooper's writing style fits within that style. Sweeping stories that come together with a great lesson and/or punchline that tells you something about life. I've shared before that my favorite short story by her is $100 and Nothing (if you've got an ex who has done you wrong, you will love this tale of revenge!) and her novel, Family, is a novel that will have you crying buckets as you witness a mother's love for her family is always there. Highly recommended from one of our best writers of the day. You know the economy is in a bad state when you notice your inbox and voicemail is spilling over with repeat calls from artists, performers, poets, musicians, writers asking for you to add them to ANYthing you're planning in the next couple weeks or months. Since I have an opportunity to do so with my day job, I try my best to find local and good talent for events on campus. We have a generous events budget that hasn't faced cutting yet (knock on wood, knowing the state of the State of California). The unfortunate part -- we're planned 6 months in advance. Not the best news for artists/performers who are used to organizations that are on a more spontaneous schedule, or for artists who need/want gigs and cash like today. But I know a lot of you work/volunteer/chair committees for organizations that are a little more spontaneous... and have a lot more flexibility to hire performers like tomorrow for a gig. If you do, please take a look at some of your local and good talent and see how you can fit them in. Maybe you can schedule a creativity workshop for your corporate ofice. Or a spoken word luncheon event for the cafeteria. Or add a local acoustic group to a reception you're planning for the workplace. Or if you're planning a graduation party for a nephew, little cousin, neice, etc... you could add a nice cultural and artsy spin to the mix. How do you find these folks? Well, I often take a look at the independent newspapers in my area (in my case, L.A. Weekly, Pasadena Weekly, L.A. Watts-Times, Los Angeles Sentinel, etc...) to see what events, book readings, festivals, poerty slams are taking place in my area. Da Poetry Lounge in L.A. is another great place I (or my students) have found great talent for campus. Local, independent film festivals are another great place to find new talent and films. Those events serve as two-fers -- entertainment for you, and a chance to find some local, non-discovered artists. Or you can google for certain types of events, writers or singer associations, etc... in your local area. Or if you read the blogs of local writers and poets and spoken word artists, you can contact them that way. As for budget. I always ask first, "What do you generally receive as an honorarium for a performance of ____ long?" And from there, we're able to negotiate a time, amount, and honorarium that makes us both happy. I always go on my intuition when talking with an artist to see how professional they are, how non-demanding/non-difficult they are, how they see their work adding to the education of students or social justice. Those are my personal things I ask about, you will have your own. And another thing the artists will appreciate... having the check ready on the day of the performance. That's partly why my organization is so far ahead of the planning game... we know that performers like to be paid just after they've finished their work. We all do. So, in my opinion this a quick and easy way to do something on a grassroots level to help an artist. We know that in a bad economy, people tend to put their arts and entertainment on the backburner... or they begin to choose more carefully. If you're part of an organization that can help an artist, it would do everyone a world of good. Pearl Cleage. Once In A Lifetime. Even though you may love your own family to pieces, have you ever met someone and thought -- Wow, I bet it was cool to be raised in their household? That's how I felt last week when I had the opportunity to meet one of my favorite authors and activists, Pearl Cleage, and her husband and son last week during her two-day stint at my campus. I won't go on with the gushing, but just watching and listening to their interactions as a family told me a lot about communication, sharing, and how being creative, politically-conscious, and culturally-emowered are great qualities to have in a household. Enough of the family dynamics. Because I do love my own family and the ways we were raised. But back to Pearl Cleage's talk at Cal State L.A. Phenomenal! She presented a keynote address for Women's History Month (or Womyn's Herstory Month, for the progressive types). It was a requiem in four-parts that spoke to the overall topic of violence against women, and how our personal decisions and collective responses are vital parts of making sure we have safe communities for our women, children, and ultimately men. Though much of her initial writings centered on the abusive couple of her day, Miles Davis and Cicely Tyson, in her work Mad At Miles, Pearl Cleage was able to interchange the current Chris Brown and Rihanna situation into her pieces and it made the issues so current and relevant to college students today. Here's her thoughts on Womanist-Centered Theater. I could go on and on. All I have to say is if you EVER get a chance to go hear her speak or do a book reading, please go. If you get a chance to buy, borrow, or read any of her novels or plays, please do. You'll find that her characters, and the issues they deal with, are just like the people you and I know... and the communities we WISH to see. If you've had a chance to see, read, or hear Pearl Cleage or her work, how does it make you feel or think? You know how you make up nicknames about people you see on a regular basis, but you don't know them? Do you every wonder what kinds of nicknames they make up for you? I wish I knew. I wish I could read their minds. Guys, be on the lookout in a few weeks for the "Mirdle"... a waist-cinching undergarment for men. Found the story on MSN: Male Girdle Tummy Tuck. Found the website to order these core-precision undershirts: Equmen. I've never tried one and don't know how it feels physically, but I think it's cool... everyone could use a little cinching now and then, huh? To me it seems like a sign of the economic times. My gym is about a 10 minute drive from where I live. And in that short drive, I saw almost 20 garage sales. A legal and easy way to get rid of some things, and get some cash to get through the month. But it's definitely more garage sales than I'm used to seeing around where I live. And definitely more that I'm used to seeing at the end of winter. When growing up, I tended to associate garage sales with summertime. And my grandma used to get us up at the crack of dawn to get through a list of "the good sales" in the so-called good neighborhoods. Who's Been Sleeping In Your Head? We've all had one of THOSE dreams. You know the type. And when you have them, especially if they involve someone you know, you're totally in a daze of confusion. Well, there's a new book, Who's Been Sleeping In Your Head? by Brett Kahr, which may give you an academic and personal glimpse into what's behind these nighttime fantasies. Does it weird you out to have one of THOSE dreams about someone you know? Have you shared it with the person, or kept it to yourself? It's one of those days where I woke up hungry and have been wanting to snack all morning. Good thing I brought my good snacks, little 100-cal packs, baked doritos, pieces of fruit, etc... to tide me over in between meals. Bad snacks, I've found, can lead to extra waistline cushion. Maybe that's why I've been looking at Orangette blog this morning. Some RICH recipes. Or also listening to The Splendid Table podcast for the tales of food. How about feeding my love for books? Author and playwright Pearl Cleage is going to be on my campus today and tomorrow in L.A. In fact, a student and I get to pick her up at where she's staying to bring to campus. I'll try not to oogle and awe at her wisdom and fabulousness. A student of Pearl Cleage's, Tayari Jones, had some good knowledge to share on her blog. Thanks for the news that Angela Bassett is making her directoral debut, filming a movie version of Percival Everett's novel, Erasure. I love, Love, LOVE that book and I'm sure Ms. Bassett will do it justice with a classy film adaptation. That's all for now. Got a bit of running around to do... and some last-minute reading before black literature class this afternoon.